For just $99.00 annually, you can reach out with a full listing, including up to 5 photos that will showcase your business and staff. 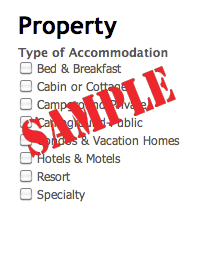 Each full listing also has a selection of customized choices that help visitors narrow their choices and focus on your business. Register to view and/or complete any of the attached listing forms. Please register now. Don’t worry if you don’t have all the information right away. Most empty fields will not publish. You can come back and add more or change your info at any time. To log-in later, just click the ‘login’ button at the top right corner of every page and then enter your email address (username) and password. 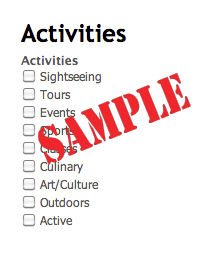 $99.00 Activities Provide the information above and then select activity type to let customers get all the details and find you better. 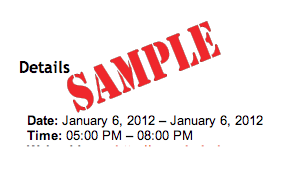 $99.00 Events Provide your base information, then select start and stop dates and times that will display in your post. $99.00 Stay The accommodations listing is the most robust with selections by type of accommodation, amenities and one specific to campgrounds. 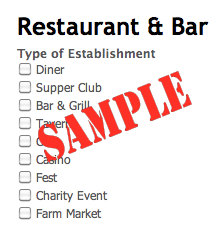 $99.00 Eat & Drink Visitors will be able to find the restaurant or bar that is exactly what they’re looking for. 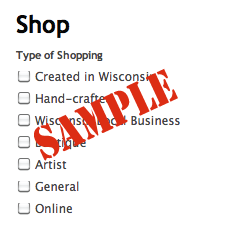 $99.00 Shop How do unique hand-crafted or made in Wisconsin items get attention? How do people find your cool boutique? By signing up for a shopping listing here! So you want more? Check out our Optional Services. Email us if you have any questions or problems!